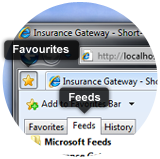 Please note the feeds below are for the Namibia Gateway only. Below is a sample of the RSS Feed for the Namibia Press Room. All portfolios that for the given level of return have the lowest risk (standard deviation of return) of all portfolios and that for the given level of risk have the highest rate of return.